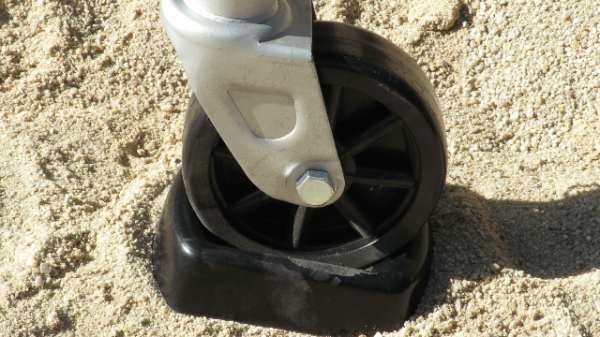 Jockey Wheel Rubber Chocks is something that is often overlooked, and they cost such a small amount of money. My YouTube video goes into quite a bit of detail for such a little product. These take up such a small amount of space, there is really no excuse not to own one. The rubber chock will come in handy one day, and you'll be glad you took the time to purchase one. There is nothing worse than settling in for the night at your chosen destination, and the caravan starts to move as you walk from one end to the other. ?Visit http://www.supercheapauto.com.au/ to buy one.